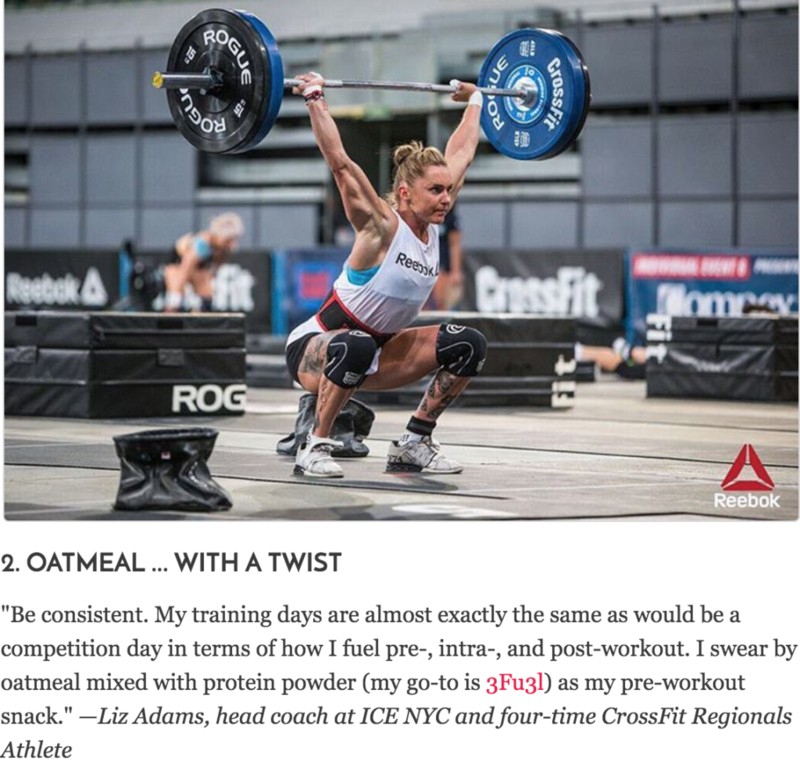 3FU3L athletes Jaclyn Demiro and Alyssa Christian, along with Regional’s athlete and 3FU3L advocate Liz Adams share their daily nutrition tips in Women’s Health Magazine. Thank you Liz for mentioning your love for 3FU3L (it’s all about the pudding)! FU3L Up and Recovery from your workouts, training, competitions, matches, races, etc. with 3FU3L. Shop Now! Statements made on www.3fu3l.com do not represent affiliation or endorsement by or with CrossFit.